Is your destination saleable? Of course it is! Sales is sales whether the product is tangible or not. In selling a destination, establishing relationships is the single most important factor. We’re not going to say “our widget can make your life easier and is cost-effective.” We’re going to say, “come visit us and we will treat you to a wonderful experience you can’t get anywhere else.” Learning how to market a tourist destination is a valuable skill, and not much different than marketing other services. In the travel and tourism industry, as in most any industry, there are different types of buyers. One segment in the tourism market is group tours. A big difference in selling group tours vs. individual sales is that you are selling B2B (business to business), not B2C (business to consumer). When you’re selling a destination to a group that will be traveling on a motorcoach (or tour bus), you are selling to tour operators who will then sell it to their customers. 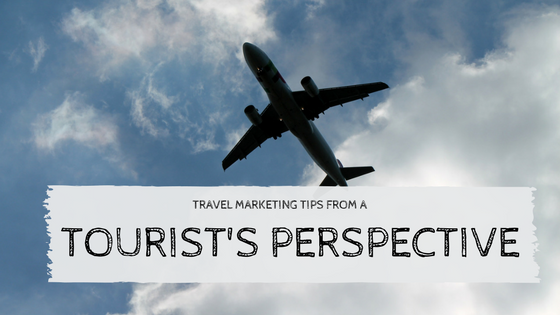 This is important because you want to be sure the tour operator is comfortable and confident in you so they want to share what your destination offers with their customers. This makes your relationship with that tour operator critical in the sales cycle. According to ABA Foundation (American Bus Association) the most recent statistics (2014) state that in the United States and Canada there were 604 million motorcoach passenger trips. Of that, tour services made up 40% of that business. 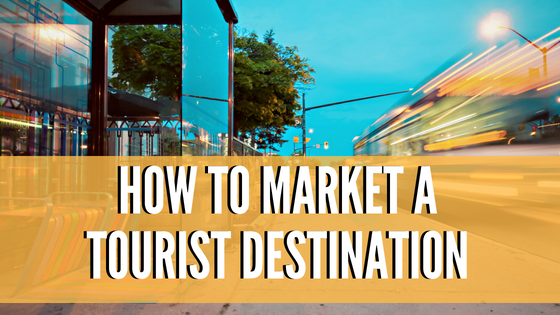 Learning how to market a tourist destination is the first step in getting a piece of that pie. Attend Travel Tradeshows. These tradeshows are where you can meet hundreds of tour operators. You have a ready-made audience. No need for cold calls! Find out who will be attending the tradeshow (this is usually found on the tradeshow website) and then research them. Look for who they are, what type of tours they offer and where they go. These shows typically are appointment-based and you request who you want to meet with. Reach out to the tour operators prior to the tradeshow introducing yourself and asking if there is any specific information you can bring for them when you meet. During the tradeshow be sure to take detailed notes on each tour operator you meet. Follow up with a thank you note (email is fine) and additional information after the tradeshow. This is where the selling will begin. Mail information. Sometimes good old-fashioned snail mail is the best way to get your information in the hands of your audience. Send a nice presentation folder with general material and any specific information they are interested in based on the conversation you had. If the tour operator requests information to be sent only via email, make sure you have the same information in digital form. Follow-up phone call. That’s right- actually pick up the phone and make a call! Even if it’s just to say, “Hi, I mailed you something and want to make sure you received it”. Still take the time to call and say hello. FAM Tours. Once you have qualified the tour operator as a prospective buyer, invite them on a FAM (familiarization tour). FAMs can be done as a group or individually. This is a great way to show firsthand all the assets of your destination while also having the opportunity to spend more time together and build your relationship. Include a survey at the end of the FAM to have a clear understanding of the tour operator’s perspective. Follow up again. After the FAM, contact the tour operator and offer to prepare a customized itinerary based on their specific needs or offerings they want to provide to their customers. Keep notes. Through this entire process, document in a sales database where you are in the sales cycle with each tour operator you are communicating with. Follow up again! Even if you don’t get a booking immediately, continue to take the time to follow up with your prospects. This can be done a number of ways, commonly with a monthly e-newsletter. You can also take advantage of the time of year. The holiday season is a great time to say thank you and also remind them of what you have to offer. Remember – tour operators are counting on travel destinations to help them be successful in their business. They have a need and you have the answer – make sure they know it!